280 bhp, 2,927 cc DOHC 16-valve transversely mounted V-8 engine with Weber carburettors, five-speed close-ratio manual transmission, double wishbone independent front and rear suspension with adjustable dampers, and four-wheel AP Lockheed ventilated disc brakes. Wheelbase: 2,340 mm. Antonio Zanini was the dominant force in Spanish rallying in the late 1970s and early 1980s, and as such, he carried considerable weight within the rally community. The seven-time national champion needed a special car heading into the 1984 season, and he saw Ferrari’s 308 as an ideal weapon with which to claim the national crown once more. 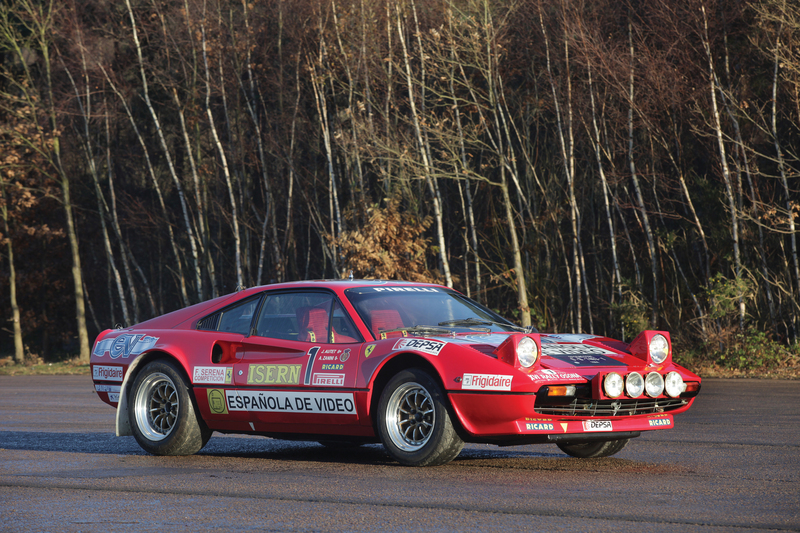 The championship was predominantly tarmac-based, so it made logical sense to use this car, as the 308 had already proven itself a force to be reckoned with on other tarmac events in both the World Rally and European Rally Championships. 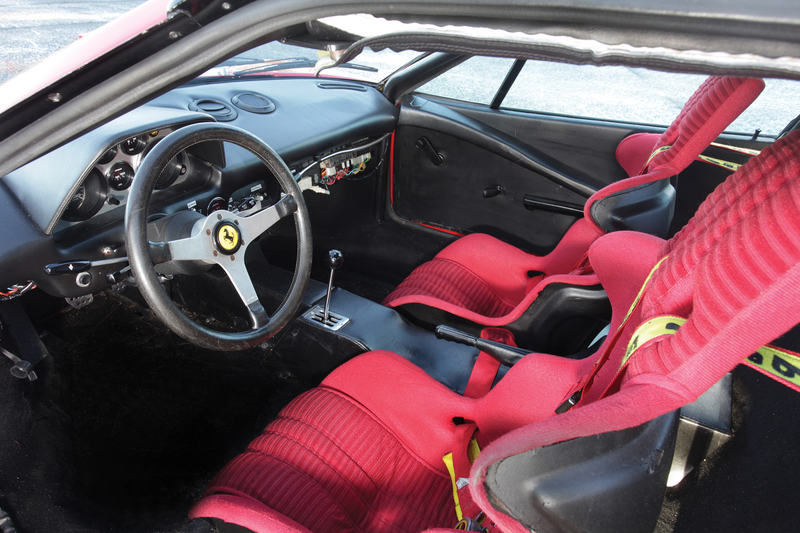 Zanini approached Ferrari agent Fernando Serena in Barcelona in early 1984 for his support. 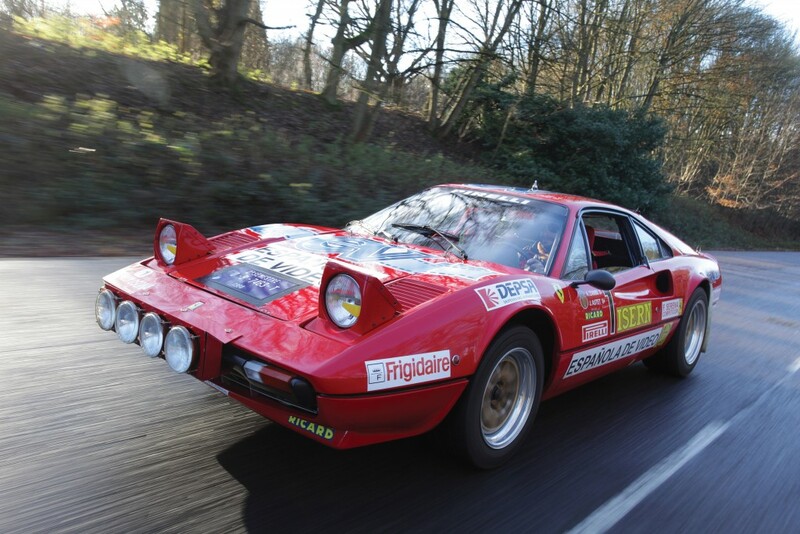 Serena duly offered a Ferrari 308 GTB from his dealer stock as the basis for building a Group B 308 rally car. Zanini would then visit factory-authorised tuner/preparer Michelotto to help outfit the car. Parts and consultation would be provided by Michelotto, and the car was to be race-prepared at the Serena workshops. The Michelotto-homologated parts included lightened wishbones, an uprated AP Lockheed braking system, stronger anti-roll bars, a quick-ratio steering rack, a competition clutch and close-ratio gearbox, and adjustable dampers in both the front and rear. Unfortunately, the car was not ready for the season-opening round in Costa Blanca; therefore, Zanini rented another Group B 308 from Italian team Pro Motor Sport. With further delays to the Serena car and Zanini dominating the championship with Pro Motor Sport, an agreement was made to extend the partnership. This allowed Zanini to win the 1984 championship before the season was even finished. 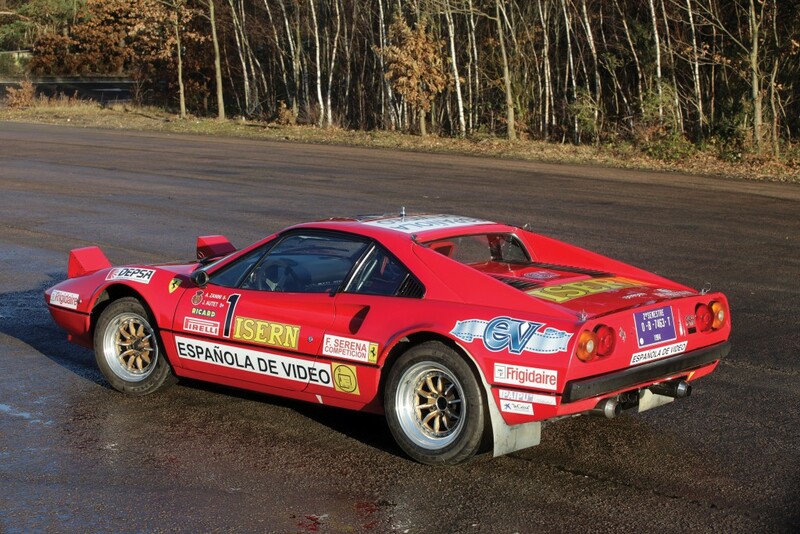 The Serena workshops were busy building and testing Zanini’s new 308 Group B rally car whilst he was racing the Pro Motor Sport 308. The Serena-built 308 finally got its debut at the Rally Osona near the end of the season, where Zanini was behind the wheel and Josep Autet was calling out the turns. The car and team secured a dominating victory, with Zanini finishing an amazing four minutes ahead of 2nd place! At some point during the development of the car, Zanini himself suggested that the additional front lighting pod be fitted lower on the nose, compared to the standard 308 rally lamp pod, so as not to obscure the driver’s vision as much. 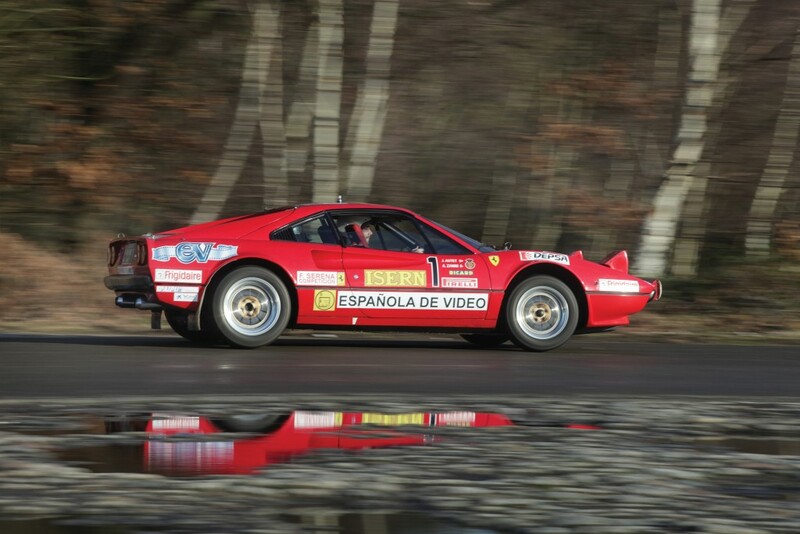 Fernando Serena Jr., the son of the Barcelona Ferrari importer, and co-driver Manuel Casanova drove the car at the final round of the 1984 Spanish Championship at the Rally de Gerona. Unfortunately, the car was retired on the first stage due to a broken brake line. The champion Zanini was contracted to Peugeot for 1985, so the beautiful and event-proven Serena 308 was ultimately side-lined throughout the Spanish Championship. The 1985 Rally Catalunya was a round of the European Rally Championship (now the World Rally Championship). The car was entrusted for this event to experienced former Catalonian champion Claudio Caba. At the end of day one, Caba and his co-driver, J. Martin, were lying in an impressive 5th overall (1st non-Lancia). Caba was also the top Spaniard in the event. However, on the second day, whilst following a competitor, Caba became entangled in a smoke screen and slid off the road. There were no spectators to assist with pushing the car back onto the road due to the remote nature of the stage. Caba could not complete the stage within the allotted time and was forced to retire, despite no terminal damage to the car. 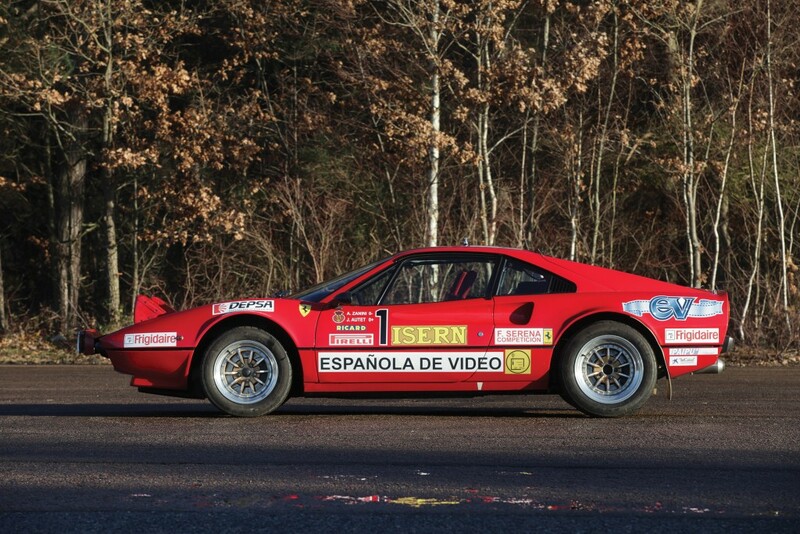 During the 1985 Rally Catalunya, the 308 raced with a revised livery and was sponsored by Spanish Jeans manufacturer Cimarron. This livery was made rather famous when Scalextric used it for one of its most popular slot cars of the 1980s. 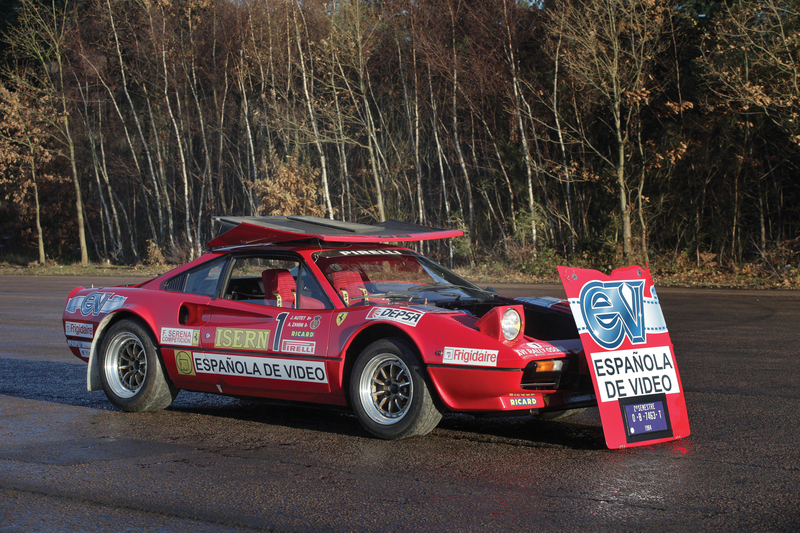 After the Catalonian rally, the car returned to Serena in Barcelona and was never used in competition again. After only three events, it was set aside and retained by Francesco Serena. 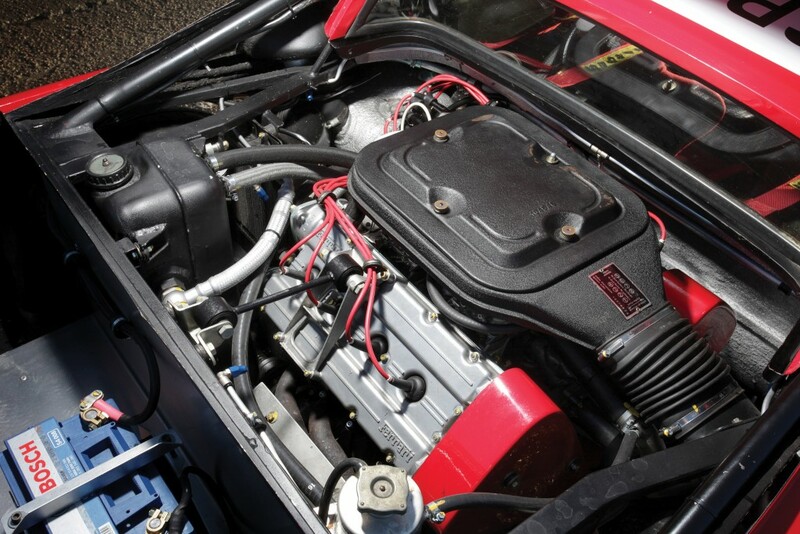 The car was sold during the late 1980s to a Spanish businessman and collector, who kept the car until 2009, at which point he sold it to the current owner.